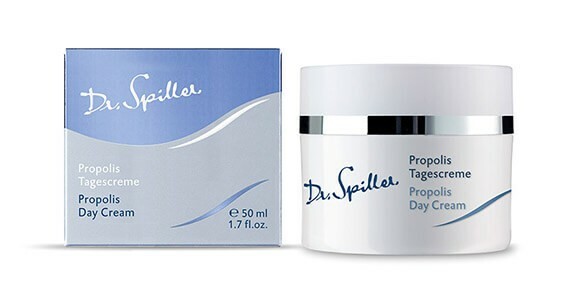 Propolis Day Cream provides clarifying skin care that restores balance to blemish-prone, oily skin. Propolis extract restores balance to the skin flora and clears the skin. In addition, Vitamin A boosts the rate of cell division and fortifies the layers of the epidermis. For a healthy, blemish-free complexion. Apply intensive skin care to face, neck and décolleté in the morning after cleansing. Follow with Propolis Day Cream.